This is one of four Christmas trees we put up in our home. Three trees are artificial and the main tree is a fresh, Fraser Fir. This tree is a seven foot, artificial, white pencil tree. I purchased it from Joann.com, it came pre-lit and I couldn't be happier with the quality. The Candyland pink, red and green color theme is a favorite amongst the children in our family, especially my daughter. Many of the ornaments my daughter and I created together. 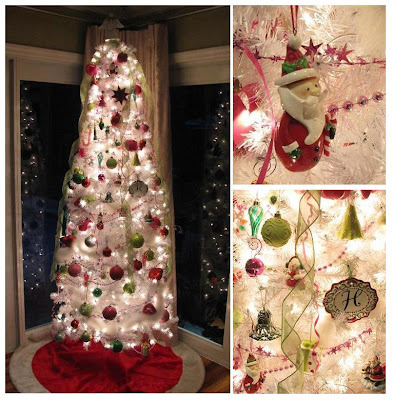 We trimmed the tree with white maribou feather boas, iridescent garland and pink and green pearl garland. So I have been one busy bee lately. 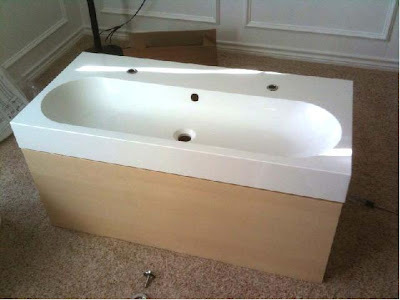 I love how one project can cause a domino effect of home projects. Fortunately, my husband and I do move pretty quickly when it comes to our chaos-causing home projects. So... mid-October I decided to convert my guest bedroom into a craft room (I can't wait to share the before and after pics - coming soon!) which triggered a spring-into-fall cleaning of the closets and drawers which triggered a yard sale. The yard sale was a huge success and I feel great about all the additonal space we gained and the few extra bucks we made. I have some yard sale tips to share but I will save that for another post. After a trip to Ikea and the Habitat for Humanity ReStore we are well on out way to completing the craft room. I can't wait until I can set-up the sewing machine and get down to the business of crafting. My friend introduced me to this sweet strawberry set. 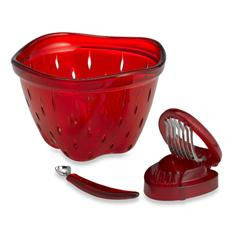 Included is a colander, huller and a berry slicer. I absolutely LOVE it! 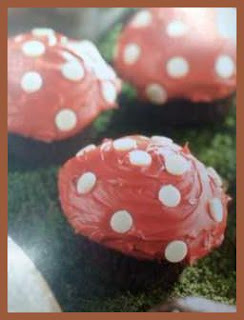 Check out these "woodland" cupcakes featured on page 61 of Barbara Beery's Fairies Cookbook. 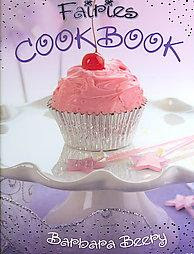 The cookbook brings make-believe to life while teaching children how to make snacks and goodies truly magical. This cookbook will be a sure hit with kids as with parents. Available at Amazon.com. I've always loved the song January Rain by David Gray. The first time I heard it was when I was watching my favorite movie Serendipity with John Cusack and Kate Beckinsale. So I am sharing this great video I found on Metacafe. If you are a David Gray fan, then check out his site at http://www.davidgray.com/. Enjoy! 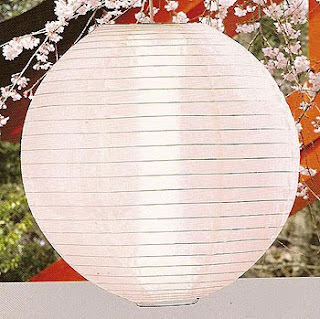 Rice paper lanterns can add a bit of ambiance to any room and they are great for use outdoors when entertaining. However, when using them outside the paper lanterns may not last for a second use. Nylon lanterns are a great solution and they can be reused for future parties. Plus they fold flat for simple storage. ShojiDecor.com offers nylon lanters for $7.90 per 19" diameter fixture, quite the steal if you ask me. Oh, did I mention these come in a wide variety of styles and colors? I can just imagine a backyard autumn soiree with these lanterns sprinkled overhead. 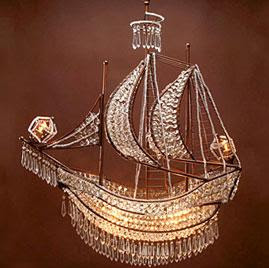 While perusing one of my favorite antique dealers site - Newel, I came across this decadent 1940's ship chandelier. 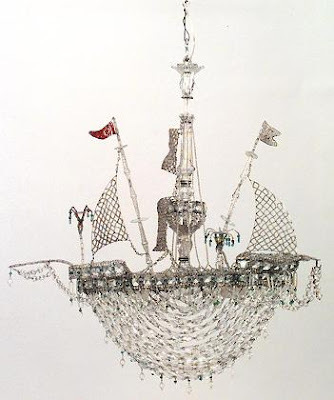 The three masted piece boasts colored glass, crystal detailing and a pricetag of $24,000. Stunning. If you are not in the market for an antique piece, you can find this beautiful ship chandelier at ZGallerie for around $800.00. Here is the first issue of Lonny magazine. I just love it! Last fall Clayton Homes introduced the Green ihouse, a new sustainable option in the manufactured housing industry. Clayton Homes, a component company of Berkshire Hathaway, is the United States' largest manufacturer of manufactured housing. While pre-built housing is not a thing of the future, integrating sustainable living into the theme is. The ihouse boasts features like Bamboo flooring, no V.O.C. paint, solar panels and a rain water catchment system. The exterior of the home is simple in appearance and it does not look like a home you would find in a typical American suburban neigborhood. In my opinion this is one major downfall of the company's design. Manufactured homes do not need to be mobile in appearance. Manufactured housing got its start around the turn of the century when several companies began producing mail order homes, the largest was Sears and Roebuck. 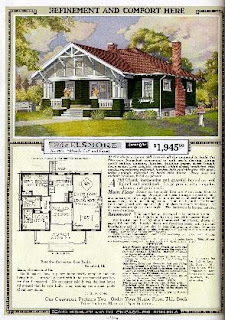 Sears sold over 100,00 mail order or "kit" homes between 1908 and 1940. Sears Modern Homes were homes that a customer could chose from a catalog or design on their own and have shipped via rail, ready for assembly. The kit included everything from flooring to asphalt roof shingles to drywall (which was a new innovation at the time). While Sears was not an innovator in home design or construction techniques; the innovation of pre-fabricated homes has proven to be more healthy for our environment. The ability to mass-produce the materials used in manufactured homes lessened manufacturing costs, reduced construction waste and in turn lowered costs for customers. Not only did precut and fitted materials shrink construction time up to 40% but Sears’s use of "balloon style" framing, drywall, and asphalt shingles greatly eased construction for homebuyers. So I have been a coupon clipping freak lately, thanks to my best friend. She's been saving a ton of money at the grocery store using coupons. I really had no idea how many great coupons were out there. And I'm not talking about the flyers in the Sunday paper or the ones tucked in with the piles of junk mail. I am talking about on-line printable coupons. Smart Source and Red Plum are two of my favorites. Both of these sites offer a wide variety of manufacturer coupons, you only print what you need which is a great way to reduce paper waste. Now what to do with all of these coupons!? A small expandable folder is a great solution. 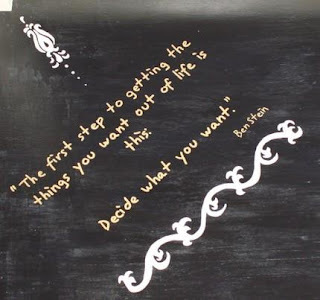 Or you could try this neat DIY solution from Paper Source and personalize it to your liking. Will Lonny have a Domino effect? Oh how I miss this magazine or as their tagline put it, "the guide to living with style". Domino was by far one of the great interior design mags and it was unlike so many magazines in that it was trendy, fresh and exciting. Production of the magazine shut down after almost five years of graciously gracing our newsstands. It was a sad day for many. In a late January 2009 press release, Conde Nast CEO Chuck Townsend said, "This decision to cease publication of the magazine and its website is driven entirely by the economy. Although readership and advertising response was encouraging in the early years, we have concluded that this economic market will not support our business expectations." But wait, there may be hope for all the hopeless "homantics" (lovers of all things home related) out there. Former editor, Michelle Adams, is reviving the spirit of Domino through the new online mag - Lonny. On October 1st Lonny has made its debut. Will this new online version satisfy our craving for a great home mag? I know I'll miss savouring each page of my hard copy but I think I'll enjoy the enviornmentally friendly e-zine. Oh, did I mention the first issue has almost 200 pages, wow! This secretary desk is so sweet. I think I would have to keep the desk open at all times because the peach sorbet interior is so cheerful. Inside a small bird is waiting to oversee all letter writing. While browsing the furniture category on Etsy, I found this lovely side table. I adore the thoughtful quotations on the underside of this statement piece. Check it out.